What do you get when you mix everyone's go-to sneaker label with a fashion girl–favorite brand? The new Converse x J.W.Anderson collab, of course. The collection of three sparkly sneakers just launched this morning, but one of them is completely sold out, and the others are flying off the shelves—so you might want to act quickly. 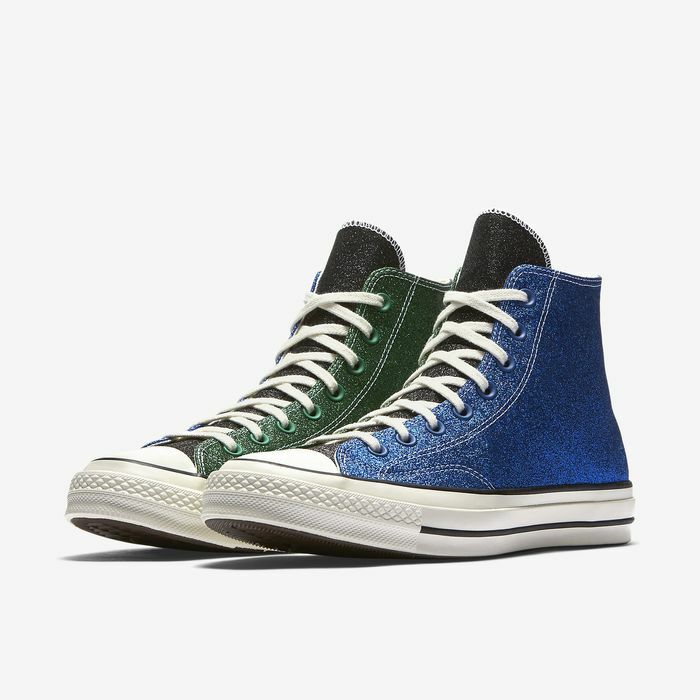 "Inspired by the dissonance between convention and disruption, Converse and JW Anderson have teamed up to explore what happens when the runway meets the street," the product description reads. "Iconic silhouettes like the Chuck '70 and the Thunderbolt trainer—both born in sport and adopted by street culture—have been given a new shine, dipped in bold metallics and color-blocked glitter." Which pair are you dying to buy? Scroll down to shop the Converse x J.W.Anderson collaboration. We're crossing our fingers for a restock, as this style sold out almost immediately. Hurry—there are still several sizes available in this colorful version. If black is more your thing, these sparkly sneakers will be right up your alley. Next up, shop the new cozy, sherpa-covered Vans sneakers.